Lots of digital projects in the studio this week. 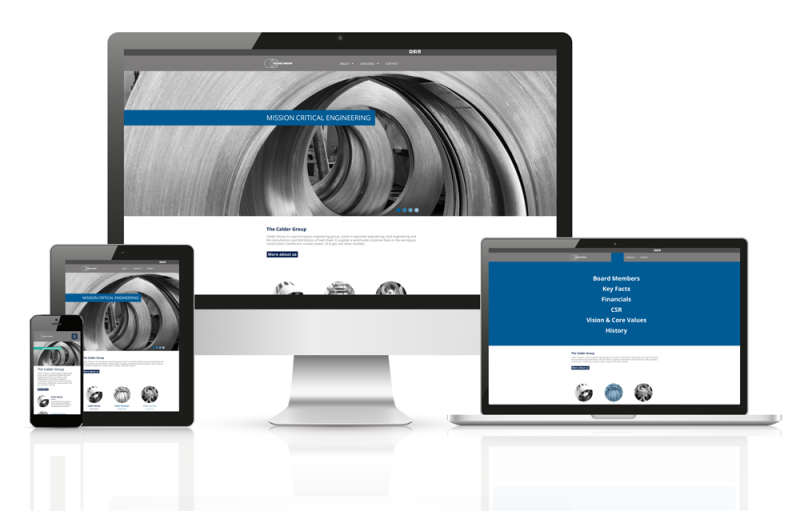 Apart from our new site going live 🙂 – we have loved creating new website concepts for our client, Calder. With over 700 staff across Europe and a turnover of €185 million our brief was to create a corporate, powerful and polished site. We created a minimal format with simplistic navigation and bold striking photography. The brand colours of blue and teal were adapted and a grey scale tint for all imagery has been introduced. Next stage, we’re finalising the website build and can’t wait to see it live.